Everett offers a comprehensive manual for assisting couples over common rough spots and through serious problems in a manner that is compassionate, effective and brief. His hope-focused (rather than problem-focused) approach enables couples to see that change is possible and gives them a new outlook on the future. Combining this with a brief approach that addresses the realities of managed care and tight budgets, Everett shows how to be strategic in each counseling situation by including teaching, training, exercises, forgiveness, modeling, and motivation. Backed by years of experience and substantial research, hope-focused marriage counseling offers hope to counselors that they can provide help to troubled couples quickly, compassionately, and effectively. 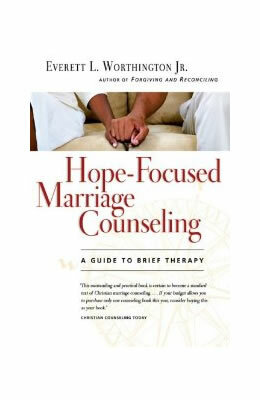 This paperback edition includes a new introduction, summarizing the latest findings and developments in marital counseling and applying hope-focused marriage counseling to today's cultural and clinical realities.